Throughout the month of February in celebration of Black History Month, the UFCW family has been paying tribute to African American activists and leaders of both the past and present who have contributed to the labor movement, as well as to the civil rights and social justice movements. 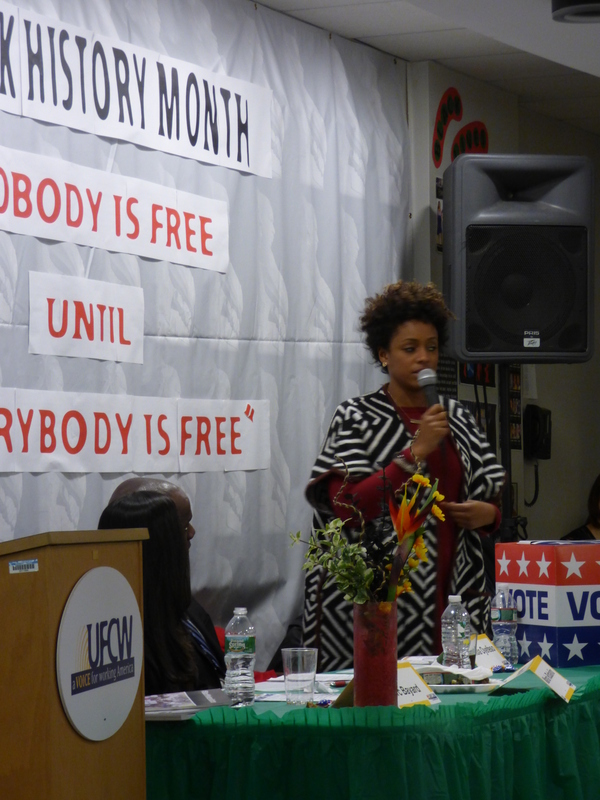 On Friday, February 19th, the UFCW International continued its celebration of African American history and culture at its annual Black History Month Program. The program shines a light on many notable historical figures, but this year it focused on the work of Fannie Lou Hamer, a voting and civil rights activist who was instrumental in organizing Mississippi’s Freedom Summer for the Student Nonviolent Coordinating Committee, among many other things. Maria F. Robalino, Senior Program Specialist for the Civil Human and Women’s Rights of the AFL-CIO. 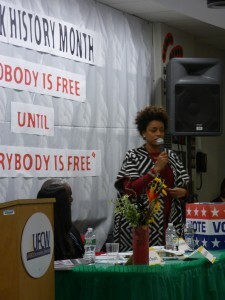 We are also continuing to highlight UFCW members on our blog who are making a difference in our union and speaking up about why Black History Month is important to them. Our latest post profiles Local 1208 Steward Daniel Garescher, who is inspiring his coworkers at Smithfield Foods in Tar Heel, North Carolina, to be active union members. He also stresses the importance of providing education about black history and civil rights as we continue to fight for social justice today. Read Daniel’s story here, and stay tuned for more Black History Month posts!